The book is a classic heist thriller with an interpersonal twist. Earl Slater is a Texas ex-con who reluctantly joins a four-man crew planning a bank robbery with an estimated take of $200,000. The catch is that the outfit’s fourth man is an affable black guy named John Ingram (played by Harry Belafonte in the 1959 film adaptation), and Slater is more than a bit of a racist. Blame it on his humble, white-trash roots. Can Earl set aside his prejudices for the greater good of The Plan? The man with the plan for this bank job is ex-cop-turned-crook, Dave Burke, and he’s thought of everything. He’s the consummate professional of the group. All he’s got to do is convince the crew to stick to the foolproof plan and convince Slater to set his bigotry aside for the duration of the job. If you’ve ever read a heist novel, you can guess that things go sideways and that no plan is truly foolproof. 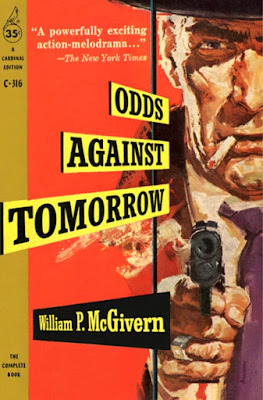 For his part, McGivern does a fantastic job of introducing us to the key members of the heist crew, their backgrounds, and motivations. The flashbacks and exposition happens fast and never diminishes the excitement of the planning, the heist, and the getaway. The scenes depicting the canny local sheriff who senses that trouble is brewing are also terrific and really bring the “will they get away with it?” pot to a rolling boil. Some of the post-heist sequences dragged a bit, but the conclusion landed on solid ground. Fans of heist paperbacks would rightly cite Lionel White and Richard Stark as the high-water marks in the genre. 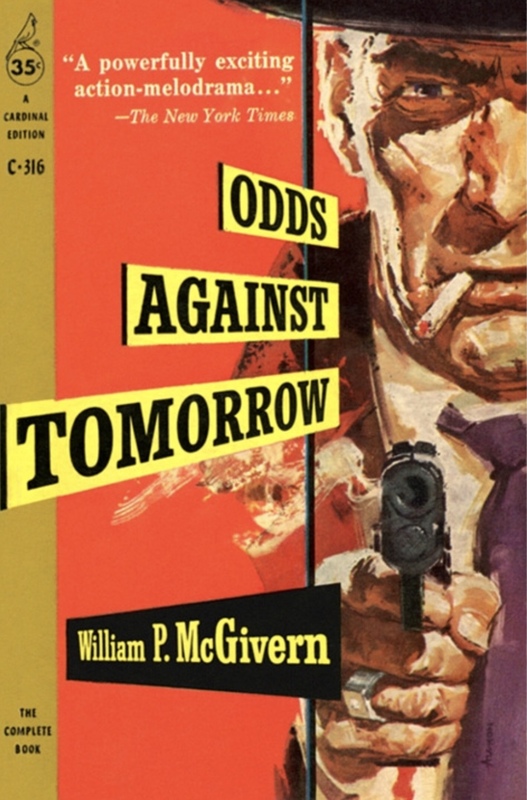 “Odds Against Tomorrow” doesn’t quite reach those heights, but it’s a worthwhile effort and a fun ride. Recommended.